Happy Wednesday to you all! I hope you’re having a good week so far. It’s definitely turned to fall here in Montana and I’m on the hunt for some sweaters but I’m kind of incredulous that sweaters are so freaking expensive! $30 for a regular sweater? Pshht. I’m over here like…Where are the $10 sweaters?? Anyway, speaking of fall – I have a Halloween nail polish trio from Turtle Tootsie Polishes that is now available – including an incredible thermal polish. 🙂 Read on for details about Ghastly Ghoul, Frankenstein’s Mask, and Fright Night. Ghastly Ghoul is a lime green nail polish with scattered holographic effect and holo micro glitter. Formula was slightly thin, and it applies slightly brushstrokey, but otherwise it’s good! This is 2 coats plus top coat. 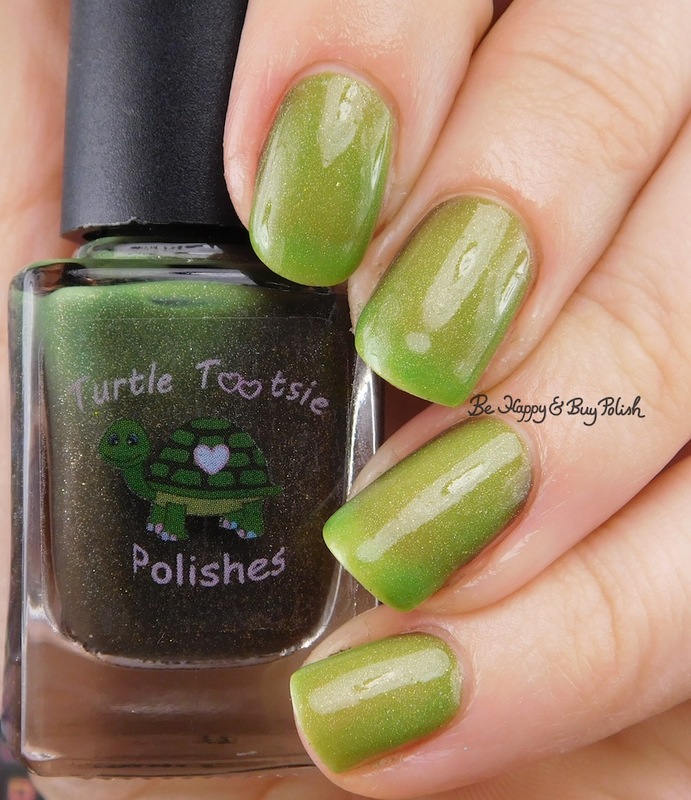 Frankenstein’s Mask is Turtle Tootsie’s first thermal polish and it’s gorgeous! This is a dark brown scattered holographic polish with lime green holo micro glitter when cold and a lime green when warm. Yeah, I just kept taking pictures! My hands were so cold the day I had this polish on so it was really hard to keep them warm enough (thank goodness for my hair dryer!) to take pictures. But check out how it transitions! This had perfect consistency. I’m in love! ❤ This is 2 coats plus top coat. 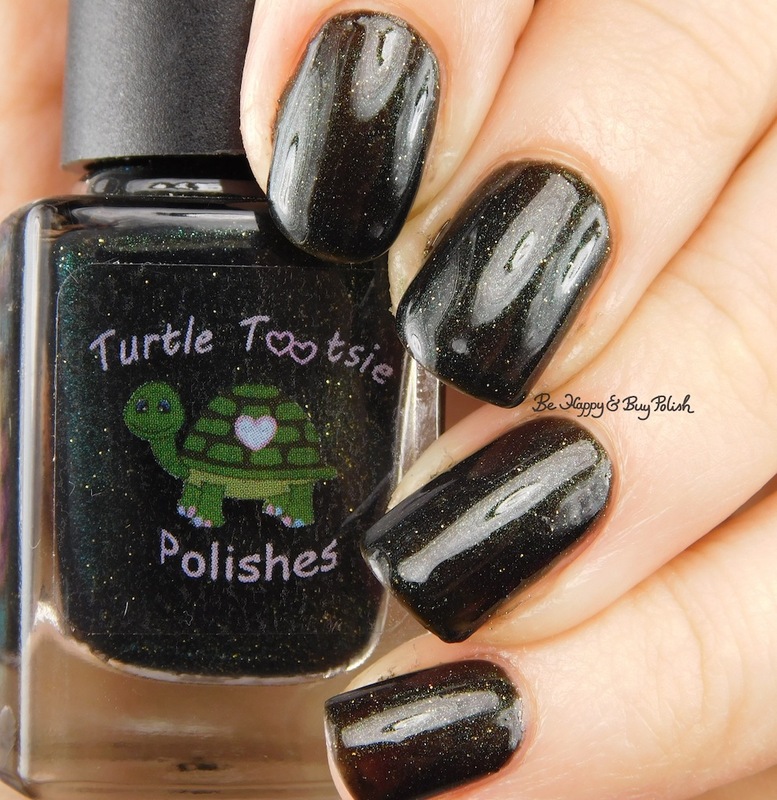 Fright Night is a black polish with green shimmer and lime green holo micro glitter. This had a good consistency. This is 2 coats plus top coat. 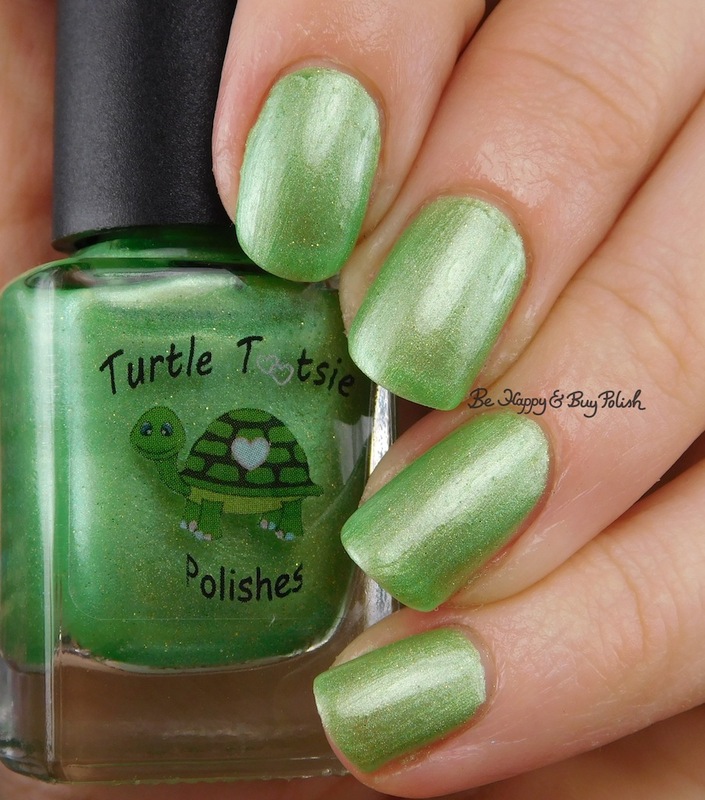 The trio is now available at Turtle Tootsie Polishes; the full size trio is $25, the mini size trio is $15. Singles are available for $10 full size, $6 mini size. Which of these three is your fave? Nice swatches of these Halloween polishes.